I’ve been wanting to show this photo circa 1956 for a long time. It’s a simple image, but there’s a lot of great stuff going on. In particular, I really love the way the paneling goes two-thirds up the wall. And – it’s very clever how it meets the double-hung window half-way…with the cafe curtains finishing the whole look. I think it makes the small breakfast nook so cozy. It’s just beautifully designed. We also get to see the built-in planters in the foreground. The most excellent wallpaper. The laminate floor with contrasting insets near the edge. 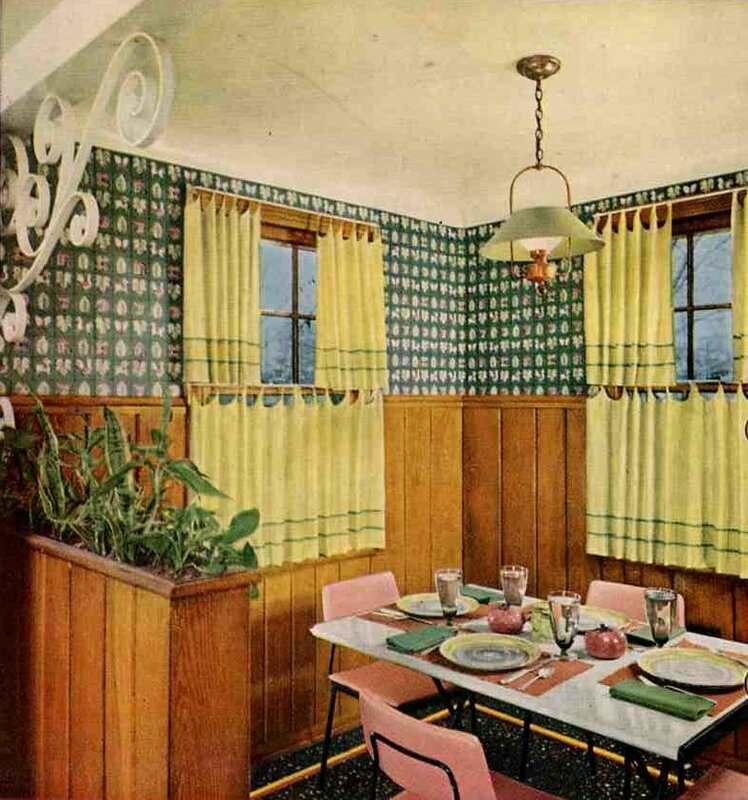 And of course, the wonderful little modern dinette with pink chairs that pick up the pink in the wallpaper and add modern contrast to the overall colonial feel. 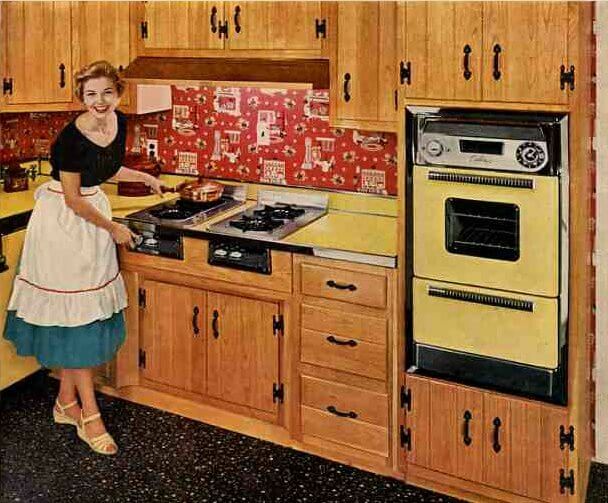 This is such and authentic 50s kitchen. And I’m ready for supper! 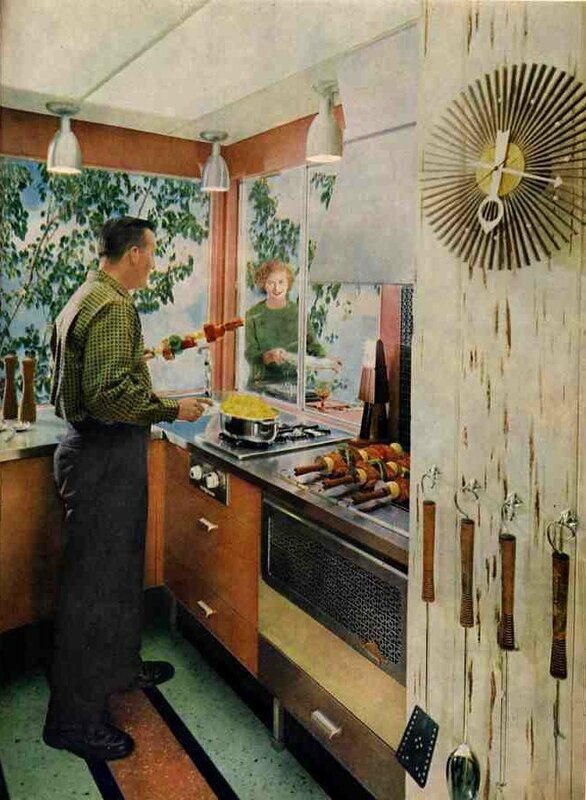 1959 kitchen – scary but wonderful photo of the week! Maddy123 inspires a new obsession: Accordian accessories! 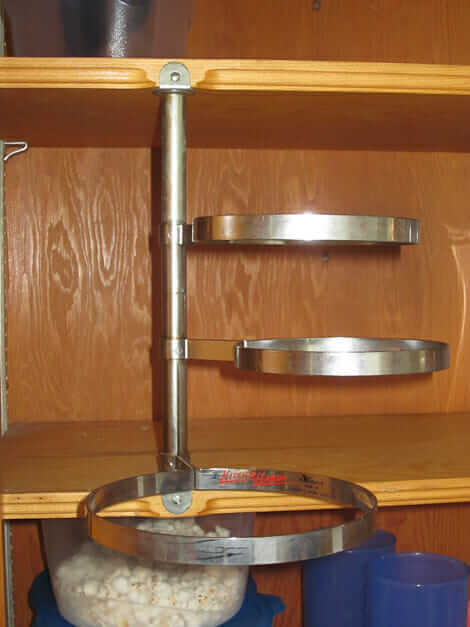 Vintage kitchen cabinet swing-out shelf storage contraption: What is it? I swear I have been in this little nook before, it is so classic. I went to an open house several weeks ago (yep, I’m one of those people) and there was a built-in planter in the entry way. How I love those! I overheard the realtor telling people it would be easy to tear out. I wanted to shriek and throw myself on top of it. 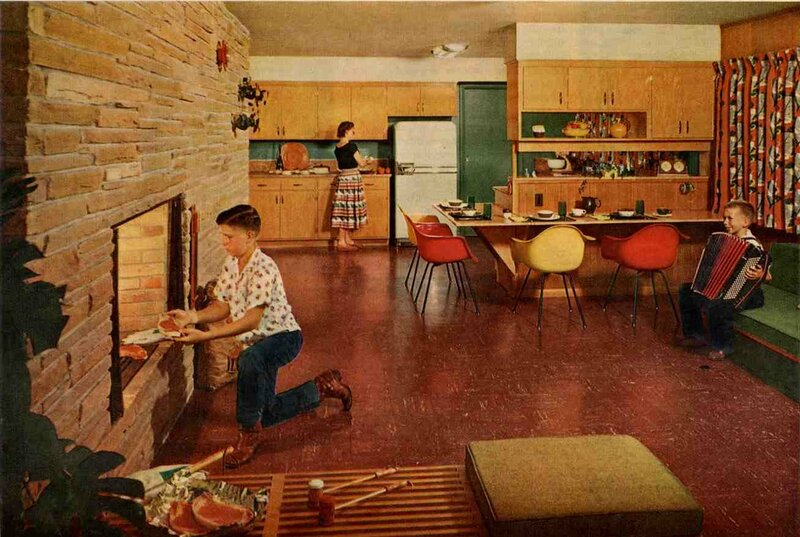 That reminds me of friends’ houses when I was growing up in the 70s. (Probably built in the 50s/60s, though). Very familiar! By the way, I’m the one who has to take the rap for calling you a girly-girl (not the other commenter that you blamed!) 😉 Sigh. The burden of honesty. The color scheme in this particular nook sets me on edge. But I also love the built-in planter!